When Don Bluth and Gary Goldman left Disney in 1979 to form their own animation studio the goal was simple, “to restore animation to something better than it was” and to uphold the values of the golden age of animation, which they believed was dying under Disney’s operating regime in the 1970s. The quality established under Walt’s reign was beginning to stall; with rising costs of producing animation, the studio responded by cutting work-force and focusing on less labor-intensive techniques. This set the stage for Don and Gary, and fourteen other animators, to leave Disney to form their own studio which would go on to produce such formidable works in animation history as The Secret of N.I.M.H (1982) and An American Tail (1986). The partnership between Don and Gary began at Walt Disney Productions when the two first met in 1972. Gary was a recent art school graduate and part of the animation training program at Disney. Meanwhile, Don had many years of experience at the studio, having worked there in 1955 directly out of high school as an inbetweener (the artist that draws frames between a lead animator’s keyframes, creating a smooth evolution for movements/poses) on Sleeping Beauty (1959). Even while Don went on to college and to Argentina for his mission (as part of his Mormon faith) he would spend his summers working at Disney through 1962. He returned to Disney as a full-time animator in 1971. Following Don and Gary’s introduction, the two began working together not just at Disney but also in their spare time, creating a short animated film in Don’s garage. Disney animation properties had been in a slow decline since Sleeping Beauty. The year before its release the studio had downsized its staff from 500 to 125, the smaller staff size continued through to the mid-70s. From ’70-’77 Disney hired only 21 people. With few remaining original animators, often referred to as the “Nine Old Men,” the company extended its training program with what became known as the California Institute of the Arts (Cal Arts). Still, this did little to change the production culture at the company, especially as Disney became even more cost-conscious. Having paid their dues, Don and his coterie soon had their chance at the studio. While completing The Rescuers (1977), Don was assigned to direct animation for Pete’s Dragon (1977) and then as producer/director for The Small One (1978), which should have marked a turning point, allowing the new, younger animators a chance to reinvigorate the studio, influenced by the quality of production and animation that Walt had established long before. However, as Don tried to include costlier production values reminiscent of earlier Disney films (special effects and more color) he was denied. Don, so disenchanted with the current regime and its focus on cost-reduction, asked to step down as producer/director to focus just on animating. Then, in 1979, Jim Stewart, an ex-Disney executive, hearing that Bluth and Goldman were unhappy at Disney, reached out to the two to see if they would be willing to leave to start their own company, and what movie they would want to begin with. Don recalled the Newberry Award-winning youth novel, “Mrs. Frisby and the Rats of N.I.M.H,” a movie pitched to Disney but shot down because the studio had “already done a mouse-movie,” that being The Rescuers. Don and Gary eventually informed their fellow animators of the plan and invited them to join in forming a new studio. Altogether, fourteen animators left Disney to join Don and Gary under Don Bluth Productions, with financing from Jim at Aurora Productions. 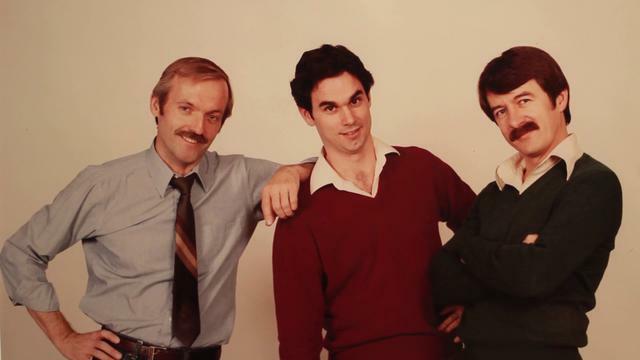 Don Bluth, John Pomeroy, and Gary Goldman left Disney in 1979 to start their own animation studio. Aurora Studios acquired the film rights for the novel, “Mrs. Frisby and the Rats of NIMH,” and offered a $5.7 million budget and a 30 month window to produce the film, less money and less time than most Disney features at the time. But, under their own purview, the studio set out to achieve their goal of elevating animation to its previous heights. This meant including many animation techniques being left behind in favor of cost reduction. Watching The Secret of N.I.M.H, it’s more than clear how many of the older, more expensive techniques were put to use in the film: Rotoscoping, where animators take live-action frames and trace over the footage (the boat in the underground boat ride, the rigging built to raise Brisby’s home, and the bird cage she gets trapped in were all photographed live action); Backlit Animation, using animated mattes shot with light shining through color gels to produce glow to recreate artificial lighting or fire effects; and Multiple Color Palettes, in order to reflect differences in characters due to different lighting situations (including underwater; minor character Mr. Ages had 26 palettes alone). The experience of watching N.I.M.H is inarguably tied to the use of these techniques, to set mood and tone, with so much of the film taking place underground, and the sci-fi/mystical elements that drive the story. But to achieve these techniques, on a smaller budget and tighter time frame than these animators were used to, required hours and hours of commitment from the new studio. Gary would recall working seven day work weeks, with 12-16 hour days, especially leading into the final months of production, not to mention all the overtime came without additional pay. As a result, many minor voice roles were filled by the staff in-house. The film’s final budget wound up at just under $6.4 million, as Don, Gary and a few other producers mortgaged their homes for an additional $700,000 to complete the film. The film opened on the July 4th weekend of 1982, a very busy year with huge commercial successes like E.T., Tron, and The Wrath of Kahn. Due both to the crowded marketplace and to a slow rollout strategy with minimal marketing from distributor MGM/UA, which had the film opening on only 88 screens its 1st weekend, N.I.M.H grossed only $386,000 on opening weekend. It never exceeded more than 700 screens during its run, and by August 1st had only grossed $7 million; its lifetime box office stands at just under $15 million. While the film premiered to a lack of commercial success, it was widely acclaimed in critical circles. And, over time, the film has become financially successful through home video distribution (the first VHS release had a $79 purchase price), as well as cable, and it has accumulated clout as a top-notch animated film and cult favorite. Unfortunately, the commercial failings of the studio’s first film would put in doubt the viability of Don Bluth Productions going forward. On top of that, 1982 saw a labor strike between animators and studios, due to the amount of work being sent overseas for television animation. While beginning their second production, East of the Sun, West of the Moon, the company was unable to secure contracts approved by the union and financing for the film fell through. The film was never made and that incarnation of Bluth Productions would cease to exist. After a couple of years trying to keep their animation studio afloat, branching out into commercials and video games, the rising costs of animation for a newly minted studio proved too costly to finance additional feature films, despite the moderate success of their video game unit. At first, Bluth partnered with businessman Morris Sullivan, who began seeking ways to make the new venture, Sullivan Bluth Studios, a profitable company. Enter Steven Spielberg. The director had been introduced to Don through Jerry Goldsmith, the composer for N.I.M.H. Having been a Disney fan and impressed by the film Don had made after leaving the studio, Spielberg promised to keep an open eye for a property the two might work on together, that’s when a project from David Kirschner, about a mouse family immigrating to the U.S. during the construction of the Statue of Liberty came about. 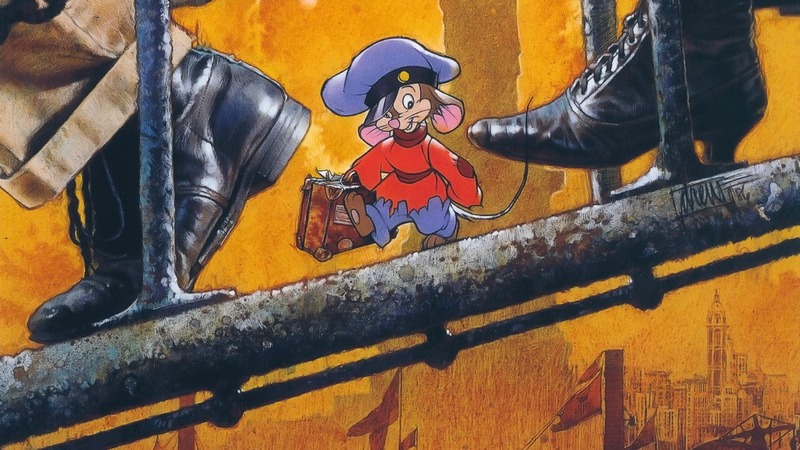 However, once again, they would have to defy the odds with An American Tail, as the film was budgeted around $6.5 million, plus any money from profits would come only if the film did over $100 million. At the time, the highest grossing animated film was Disney’s The Rescuers, at only $40 million. As a result, the studio could no longer be a member of the union, as the union rates were too high to pay while producing the film on the limited budget. Unlike N.I.M.H, Tail opened in over 1200 theaters, with major marketing tie-ins from Sears and McDonalds. Reviews were mixed with many critics lauding the animation but expressing disappointment over the story and character development. Still, the film opened to $5.2 million, with a second weekend of $7.4 million; after 18 weeks the film had grossed $44.6 million, at the time setting a new record for top grossing animated feature. With overseas box office included the film earned just over $84 million. Yet, with the Spielberg partnership, the Bluth crew went from independent animation production studio to animation powerhouse through Amblin and Universal, and in part due to the Irish government. With the strike and union negotiations, and ever increasing costs of hiring the staff required to produce animated features, the Bluth venture found a new avenue to contain costs and spur a new crop of animators. Like many film productions do these days, the Sullivan Bluth venture moved to Ireland to take advantage of tax incentives. The move to Ireland actually took place in the midst of the production of An American Tail, with the largest grant in the country’s history and a 5% government ownership of the studio, as well as $13,000 per person training grants, the company opened near Dublin with a staff of 85, handling mostly ink-and-paint processes. Eventually, the staff expanded to over 300 people (with over 90% of them Irish) to cover the entirety of the production process. Now with the studio relocated and contract issues behind them, production began on the studio’s second feature, The Land Before Time (1988). “It never came up to my full expectations, simply because it was a perfect opportunity to really showcase five disturbed personalities trying to work towards each other’s mutual goal. They were rich characters, but [we] never really got a chance to project that richness. In determining their next project, the company was inspired by the fact that the top three animated films at the time were about dogs: Disney’s The Fox and the Hound (1981), 101 Dalmations (1961), and Lady and the Tramp (1955). The project was scripted and set in New Orleans, the setting adding to the atmosphere of the film, as Goldman put it, “with overtones of Mardi Gras, jazz music, the Mississippi and a feeling of worldliness that contrasted nicely with the film’s spiritual theme.” The film aimed to match Tail’s popular song style and thus enlisted Charles Strouse (Bye Bye Birdie, Annie) as composer; the score was written by Ralph Burns (All That Jazz, Cabaret, and A Chorus Line). 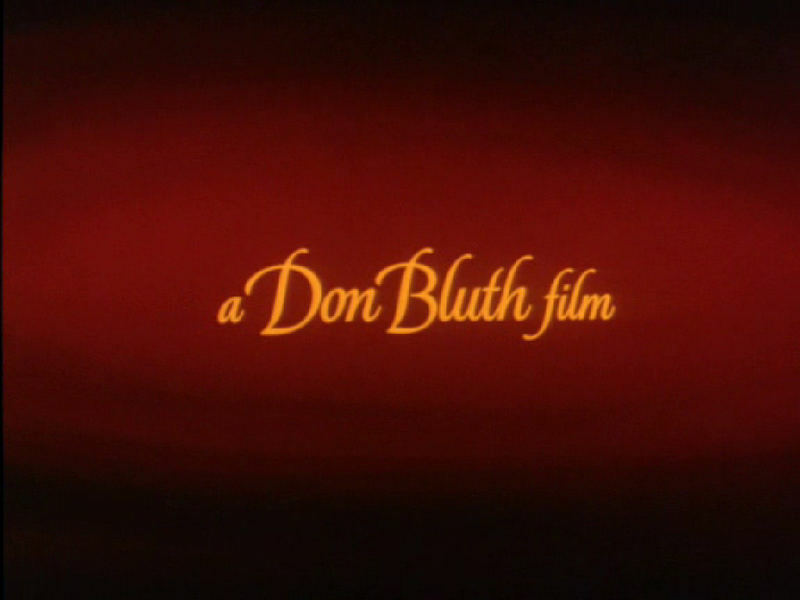 Also, much to Don’s chagrin, Dogs was the first of their films to utilize computer animation to assist with tricky perspective shots, such as the car running down the pier towards Charlie and the mechanical crane in the junkyard. Before the film’s release it had been presold in nearly all foreign markets for $7 million (about half the budget) and would be distributed domestically by United Artists. The film was released on November 17th, 1989, going head-to-head with Disney’s The Little Mermaid, the film which would mark the beginning of Disney’s renaissance. Dogs was critically panned, especially in comparison to Mermaid. The film went on to earn just over $27 million, far from Mermaid’s $90 million. Like the Bluth films before it, though, Dogs was a hit on home video, remaining in the number one spot for several weeks and generating initial revenue of nearly $75 million from over 3 million copies. With Goldcrest’s backing, the Sullivan Bluth company would go on to create Rock-A-Doodle (1991) and Thumbelina (1994) as part of its three picture deal. Meanwhile, Bluth’s previous films were being licensed for endless direct-to-video prequel and sequel properties which the current company had no participation in, which certainly undermined the credibility of their products. They were made cheaply, with limited animation. As far as the Bluth brand was concerned, the triumph of traditional animation was being squandered by the triumph of corporate licensing and franchising. With The Little Mermaid Disney marked a turnabout in its commercial viability and indicated that the quality and love of animation and story had once again become a focus internally. 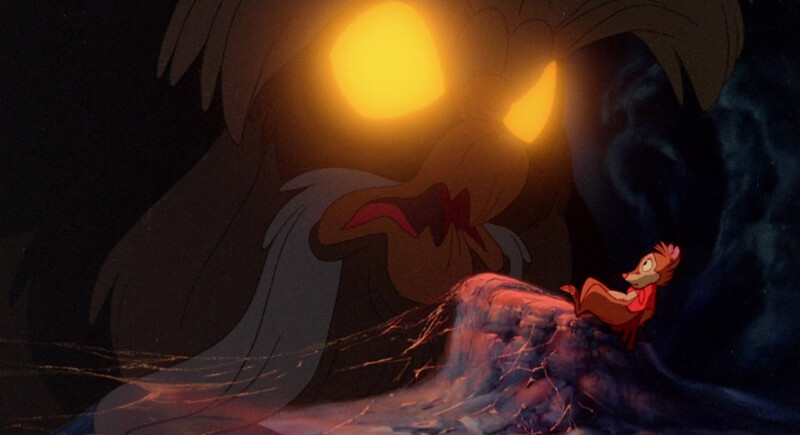 While the next release, The Rescuers Down Under (1990) struggled at the box office, 1991 saw the release of Beauty and the Beast, the first animated film nominated for Best Picture. Aladdin (1992) followed and set the new standard for animation: the celebrity voice actor. The Lion King came two years later and would again raise the bar for animated films. However, after The Lion King, Disney’s animated properties began to once again become stale and uninspired, many of the films released after Lion were simply formulaic retreads, hinging on songs, sidekicks and pop culture gags, for which the term Disneyfication was coined. With competition from other studios (DreamWorks and Fox’s BlueSky Studios) animator salaries were on the rise, marketing costs were increasing, and Disney’s revenue and quality were both in decline. The short-lived renaissance was over almost as soon as it began. In 1995 the world of animation saw its most dramatic challenge yet, with Disney’s distribution of the Pixar film, A Toy Story, which would forever change the nature of the animated feature. In 2003 Disney converted its Walt Disney Feature Animation studios into a CGI studio, laying off the majority of traditional animation staff and selling off the equipment. Their studio in Paris was also shut down, and one in Orlando was closed the following year, only to be turned into an attraction. With the rise of Pixar, it seems the death blow was delivered for traditional animation. Through CGI animation, Pixar had even taken up the mantle of innovation and effects, tackling things like fur, water, and human bodies, as Bluth Productions once tackled rotoscoping, backlit animation, and comprehensive color palettes. Innovation was alive and was delivering for audiences, however, it was to the detriment of traditional hand-drawn animation. Pixar’s films have garnered the same box office results and critical acclaim that Disney’s renaissance films had, leading, ultimately, to Disney’s purchase of Pixar Studios for a whopping $7.4 billion dollars in 2006. As part of Disney, Pixar’s head John Lasseter (a Disney animator going back to The Fox and the Hound who worked there in the wake of Don Bluth’s defection) was promoted to oversee all animation. While Lasseter clearly maintains a deep love and appreciation for traditional animation, even promising to revive it at the studio, the years since Pixar’s culture was inducted into Disney have produced few traditional animated features, and none of notable quality (Home on the Range, 2004, and The Princess and the Frog, 2009). The fact of the matter is that, while every frame may still remain a labor of love for the animators, CGI animation requires less people and is ultimately cheaper to produce. For the Pixar crew, the freedom of three dimensionality and the technology is simply an evolution of the medium. Still, the legacy of Don Bluth and the Disney defectors persists in many ways, even in the CGI dominated production culture of today; that is, to produce animation that is the best possible, both in story and character, as well as the technical output. Studios continually make strides in innovation that push the limits of creativity and the quality of animation, even if it is all done on the computer. But the influence of the Bluth films, which reached their nadir while Disney reached its bottom, persists to this day. There’s still something magical about the anti-Disney spirit, the quality of the animation, and the wonderful stories told in films like The Secret of N.I.M.H, An American Tail, The Land Before Time, and All Dogs Go to Heaven.